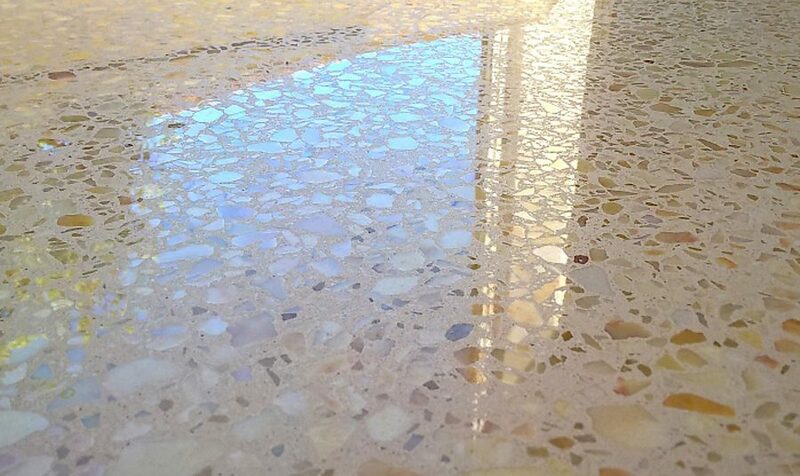 Terrazzo is a very hard wearing, durable material. Damage and mis-use of this type of floor will not mean complete replacement. We are able to carry out structural and cosmetic repairs, or sometimes it’s simply a case of bringing a dulled floor back to life by re-polishing it. We have the capability to deliver large projects such as supermarkets, schools, airports and stadia. 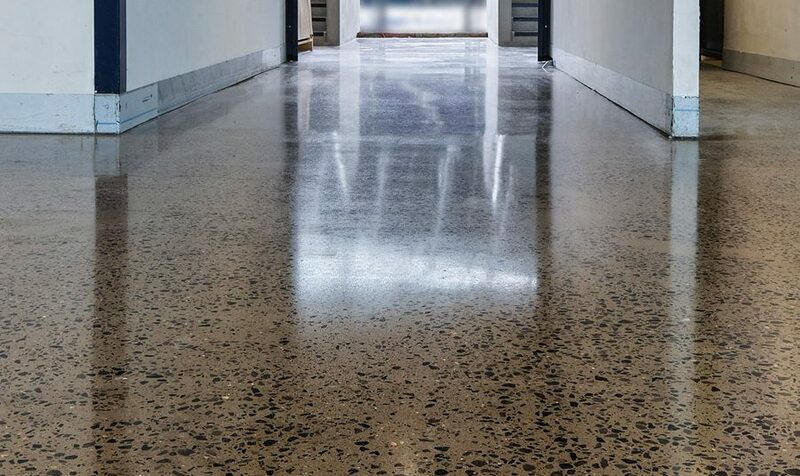 We have the knowledge, skill and plant to transform a damaged, tired concrete slab into a new, clean fresh polished floor. The polishing process will in turn harden the surface finish, reduce maintenance and increase the lifespan of the floor. If you have a concrete floor underneath your existing floor finish, we can strip off the current finish and adhesives, then polish what’s there to give a unique rustic floor. We can also add colour to it with staining chemicals for an architectural finish or to provide way finding in a commercial or industrial setting. Using the latest environmentally friendly cleaning products and techniques we are able to clean and refurbish brick pavers and similar such materials to remove petrochemicals, lichens and algae. 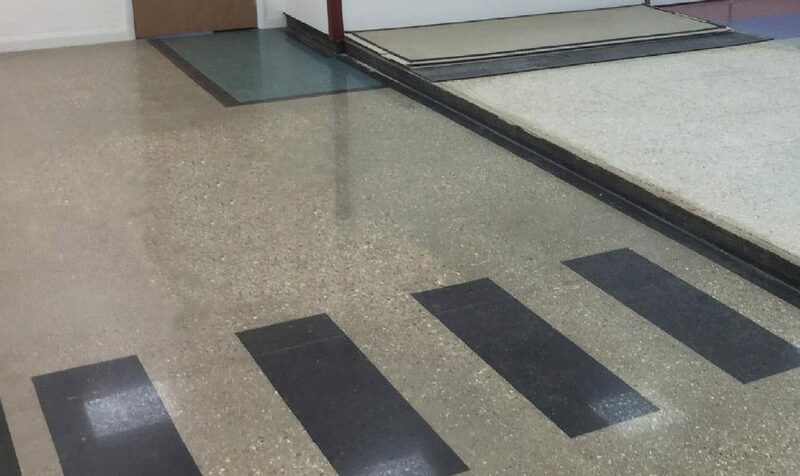 Using the appropriate sealers, we can also restore the surface to the original color in either a matte or gloss finish, providing protection against such growth and extending the life of your asset. We provide bespoke solutons for our clients. Talk to us today about tailoring the above process to your requirements. Please fill out the enquiry form and we will be in touch with you shortly.